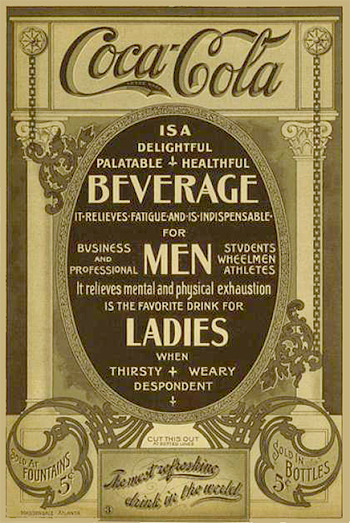 These enthusiastic adjectives were the sum and substance of the very first ad for a brand new product called Coca-Cola, circa 1886. The soda pop giant has been advertising as long as any other product that comes to mind, and as always, it helps to take a lesson from the masters. 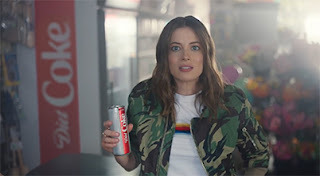 Mind you, not because we want to promote our books with over-the-top adjectives, but rather to observe how advertising experts like Coke have changed their strategies to adapt to the times. 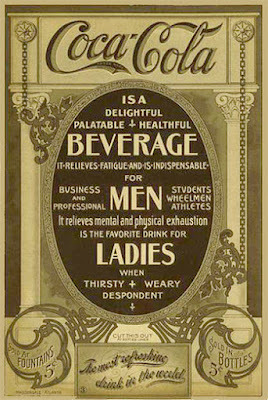 Over the decades, Coca-Cola has been marketed by such monikers as "The Ideal Beverage for Discriminating People", "The Ideal Brain Tonic" and "The Drink of All the Year" (awkward as that sounds). It's hard to imagine these slogans having an effect on today's ad-weary and ad-wary audience. As the buying public grew more sophisticated, it also became more skeptical, requiring proof to back up grandiose slogans. So ads went into considerable detail to fully explain a product and its particulars. "The bright tang of Coke is always welcome after a busy day of shopping. The bracing sparkle and the bit of quick energy you get in Coke makes it the perfect refreshment every time. It gives you a bright little lift; it brings you back so refreshed, so quickly..."
Compare that to the latest ads for Diet Coke. The primary message is that life is short and you should do whatever makes you feel good. (If that happens to be drinking Diet Coke, they wouldn't mind that a bit.) Rather than sell the product, they show others enjoying it, and basically let you decide for yourself. Today's buyer is more vulnerable than ever to an invitation that makes them feel understood and important. In this age where they are bombarded with pop-up ads on PCs and video marketing at the gas pumps, they've learned to ignore blatant "buy me" marketing. Slice of life scenarios that are easy to relate to are what gets their attention. That said, books are not Coke. Potential readers still want a detailed description of a novel to know what they're getting. But they are thirsty for a good experience, and buying books is a largely emotional and often impulsive decision easily influenced by the idea that something positive will come from it. Would your book make a great gift for Fathers Day? Graduation? Christmas? Somehow it feels like less of a sales pitch when the purchase will be an act of benevolence. Will your book help the reader escape into a world of mystery, history, romance, chills? An evocative cover will do more to sell the sizzle that an aggressive come-on. Your website, blog and other marketing materials need be little more than a reinforcement of the experience the reader seeks to convince them that your books are exhilarating! Invigorating! Or—as Coke might say—the real thing. Today, soft sell is king, and the advertising adage "Don't sell the steak, sell the sizzle" is as sound as ever. Especially if you can sell the sizzle with subtlety.